There's an old rule that animators keep in mind: "Put it where you can see it." It's true for illustrators, too. When you're designing a picture, the parts of the pose that are important to the story should be in clear view, while the less important parts can be concealed. 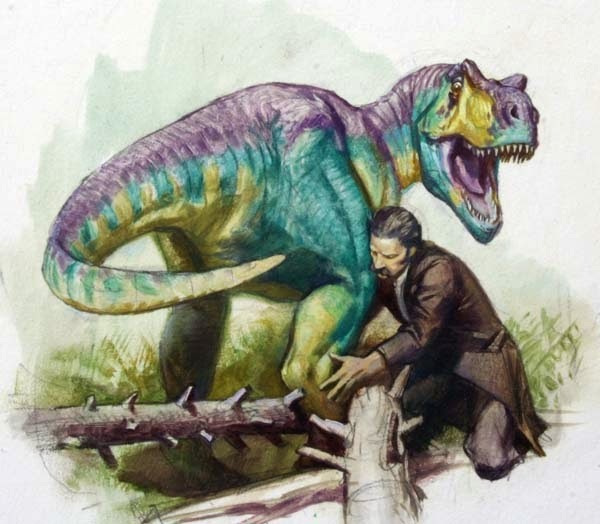 For this illustration in Dinotopia: The World Beneath , I wanted to show Arthur Denison helping a young Giganotosaurus free his foot, which was trapped between some fallen logs. While I was planning the picture, I thought about what things I needed to show to explain what was going on: Arthur's face and hand, the dinosaur's face and the tip of his tail, his ankle, and the logs. I didn't need to show the dinosaur's hands, Arthur's feet, or the details of plants on the ground, so those parts could be hidden or blurred. The greenish brown background tone helps to disguise unimportant edges at the bottom of the picture. Because Arthur's face was especially important, I contrived a lot of lines to radiate out from it, a compositional technique called "spokewheeling." I have a question about spokewheeling... If you "spokewheel" an arbitrary, unimportant part of the image, will people gravitate toward it? Or is it just an artistic convention? I don't know! I guess you have to try it out and see. I suppose with composition you develop your intuitive feeling for such things. Some artistic conventions are just conventions, and some are based on laws of perception. 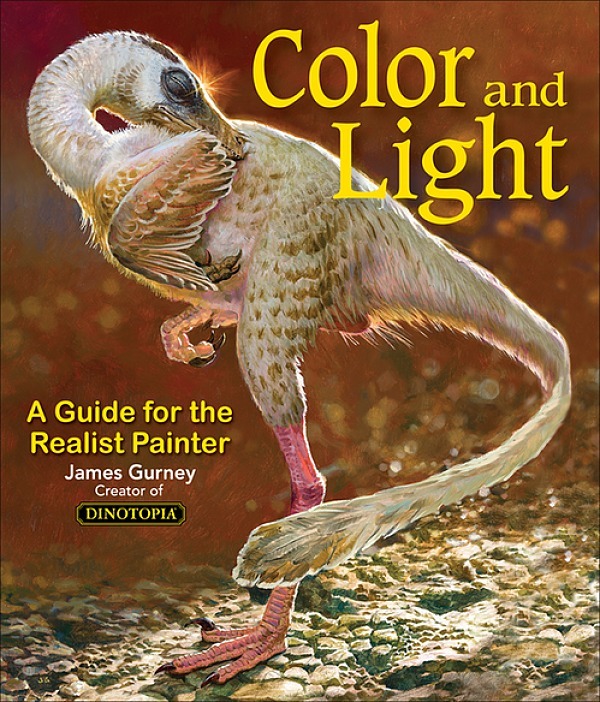 I have both of your books on art (Imaginative Realism and 'Color and Light') and know that you do extensive use of maquettes, models, and reference photos. However, is it EVER ok for an artist to use someone else's photograph as a 'partial' reference in their artwork. Not copying it as a whole, but taking a small part of it and synthesizing it into a larger image? Example: you are painting a tropic scene and want to include a 'bird of paradise' as part of the foliage. Can you use a random internet image to use as a guideline when it is only a small part of the overall image as a whole? Say less than 5% of the final image? OR should you only use copyright free imagery or photographs that you have taken yourself? 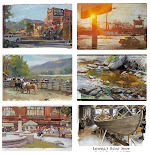 What if you plan on entering this final painting for a competition? I am one of a couple dozen art teachers arguing about this back and forth. I can see both sides of the argument. What is your opinion? It's a good question, and I suppose it's a matter of degree. If you're using someone else's reference photos in a relatively small part of your image, and if you're adapting or interpreting the image into your own style, you're probably OK. But if the photo is the main feature of your painting, and you've used it literally, the photographer might have a justifiable claim. The best bet is to shoot your own reference as much as possible, and if you want to use someone's photo more literally, ask permission, and find out whether the photographer would like a credit or a payment.